Welcome to my corner of thought space. I’m glad you stopped in. For the past 10 years, I’ve journeyed deep into the study of collaboration. I’ve looked at the alchemy of teams, but also how we think collectively, the forces of culture, and ways organizations learn. 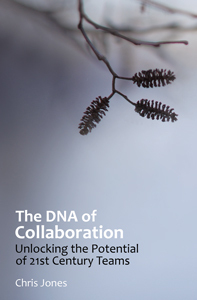 That journey reached a milestone in 2012 with the publication of my first book: The DNA of Collaboration. The experience of publishing was exhilarating. Each new idea, page, and chapter opened a new horizon, bringing new possibilities into view. But it’s been hard work, too. I’ve felt like a hiker cresting a ridge, only to find new ranges beyond. Making space for Possibility is a set of challenges that’s grown more difficult in the 21st century. Often, it’s a daily struggle. Deep dives on problems and solutions will constantly fight with demands of the moment. Teamed with thinkers I met on the internet, mostly via Twitter and blog comments, we’ve persisted. We’ve tapped the work of thought leaders, too. Inspired by the work of Margaret Wheatley, Peter Senge, John Kotter, Steven B. Johnson and Peter Block, we’ve routinely tapped possibility in our search for better solutions. For one, it’s helped us frame better questions. And as we work to create fertile ground for these discussion, we’re finding the right conditions for germination and growth of our new ideas. Ambitious? Perhaps. But I think worth it. Here’s a quick recap of the highlights. In terms of newer and bigger ideas? A thread on complexity exposed new ways to look at the world that’s woven through all our social ecosystems. It’s about the interplay of diverse stakeholders, exploring patterns and guiding outcomes, with new ways of looking at problems; this topic has been excited, because we’re just learning how that line of thinking works in practice. In the process, I expanded my personal appreciation for philosophy, with a renewed respect for Aristotle, Descartes, Kant and Wittgenstein. It was a rich and rewarding detour that brought me full circle back to modern questions on thinking about thinking. The importance of community as a foundation of our culture, and our potential. I’m now exploring the power of visual and written metaphor in our collaborative pursuits, as elements of stronger, deeper connections. Check out my amberwood instagram site for a few in-flight examples. We’ve made progress, to be sure, but there’s more discovery ahead. Challenge me, and I’ll return the favor. I’ve gotten to know so many of you, and I truly value your feedback and insight. Whether as a reader, colleague, or collaborator – and now, in many cases, as a friend – I truly appreciate your long term investment of time. I look forward to where we might go. So thank you again. Please come back soon, and often. First a sincere thanks for guiding this journey. In my view, many have indeed made contributions. But you should know that without your unwavering focus, kindness and intelligence we wouldn’t be as far as we’ve gotten. In any case, what I think I’ve learned is that while systems are governed by complexity, humans act in pursuit of simplicity. This week Jen put a Ted Video in my @ stream. In 3 minutes I think it tells the story as clearly as I’ve ever seen it. My takeway is that complexity as way of looking at the world can show how things relate to each other. But when the purpose is not merely to understand the world, but to intervene to make it a little better, the best approach might be somewhat different. From what I see from the work with the EduKare meme, two essentials arise. One is to see the whole person as the object of interest. That means a student’s story must go beyond the school room to reach to their history and community. It also means a government worker – for example a Public School Teacher – must also be seen as a whole person. It should be noted that “seeing someone as a whole person is far from trivial. The other essential is the importance of responding in the appropriate Time. My strong hunch is that much of what is wrong in the #ecosys can be framed as the decoupling of student time v parent time v school time v government time. I have another strong hunch that precisely the same problems exist in government, enterprise and Nation States. How does each stakeholder measure Time? I’ll be curious to get your thoughts about whether this could be a useful approach. re: simple interpretations, I agree, if it’s possible for simple (mental) models and simple rules to help us understand complex interactions, I’m all for it – as long as we don’t short change what is really happening. re: focus on stakeholders (students, workers, teachers) I think you’re right, we haven’t done enough to truly understand what our actors/agents are doing, and what motivates them. That’s ahead at #Ecosys. 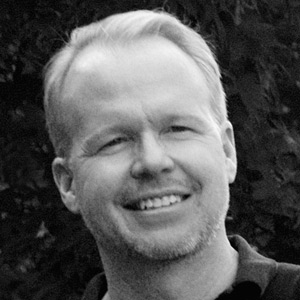 re: time, what if we introduced value into the equation, such as “how do stakeholders value time?” – time is an interesting dimension in the ‘flow’ of things, and I have a hunch it moves pretty quickly at the stakeholder interaction level; it’s much slower as you move out to the ecosystem. Again, great thoughts, appreciate the response and some new ideas for moving ahead. I am hopeful that people look inside for the questions that keep them up at night. The issue for me isn’t “Is this the right question. The issue for me is does this question mean anything personal to me? Cheers to you and all that you do to keep the conversation progressive and real. With the volume of exchange (on Twitter in particular) we have to choose our conversations carefully, because there are so many threads to select from. Hard to know if there’s personal meaning/value without some interaction. That’s why I go back to the framing and the framers – to find out who is having the conversation and why? I see “What’s the question and context?” as quick test for meaning/value. Ultimately, your point, I think, is that “right” and “wrong” are relative. It depends on the interests and backgrounds of those in the conversation. It’s “right” if there’s value to those having the exchange. I’ll need to be more specific on my query. And that will take more reflecting. Turn’s out that i’m the one not asking the “right” questions – !! Great insights, as ever. Thanks for weighing in Jenn. As always, making me think. Fantastic goods from you, man. I’ve understand your stuff previous to and you are just extremely great. I actually like what you have acquired here, certainly like what you are saying and the way in which you say it. You make it entertaining and you still take care of to keep it smart. I can’t wait to read much more from you. This is actually a tremendous web site.